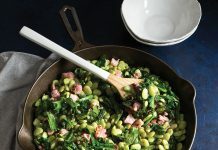 As Southern as the soil the collards grew in, this side dish is richly flavored with a smoked ham hock and touch of cane syrup. 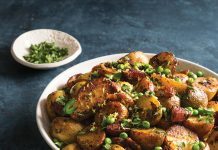 Serve as-is, or shred the ham hock meat and stir into the pot before serving. 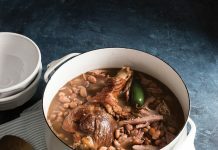 In a large stockpot or Dutch oven, heat oil over medium heat. Add onion; cook until softened, about 6 minutes. Gradually add kale, 2 cups water, and 1 cup broth; cook, stirring frequently, until kale is wilted. 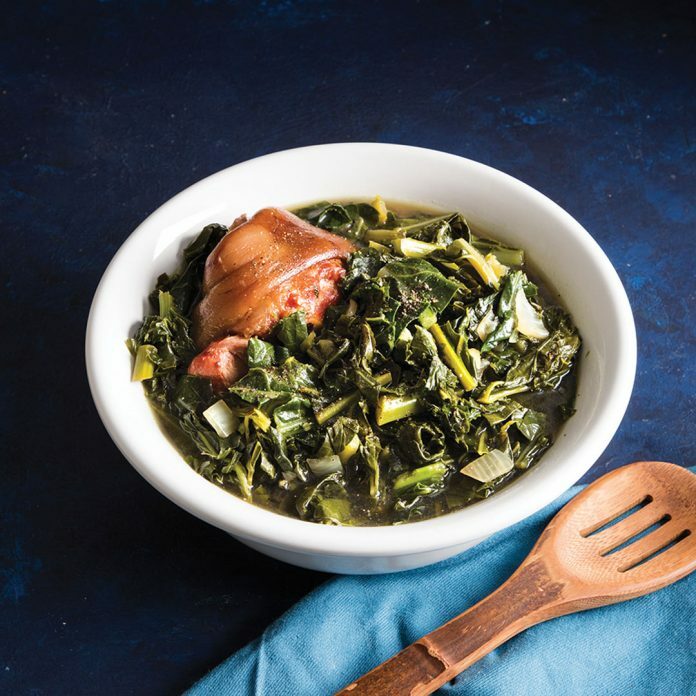 Repeat with collards, remaining 2 cups water, and remaining 1 cup broth. Add salt, pepper, and garlic powder. Nestle ham hocks into greens mixture; bring to a boil over medium-high heat. Reduce heat; cover and simmer until greens are tender, about 45 minutes. Stir in vinegar and cane syrup. Serve immediately.